What do Michael Milken and Martha Stewart have in common? What was the most outrageous party thrown by a financial baron of the twentieth century? Which US war hero president became party to, and victim of, an unabashed con man known as the Napoleon of Wall Street? These questions and more are discussed in Separating Fools from Their Money. 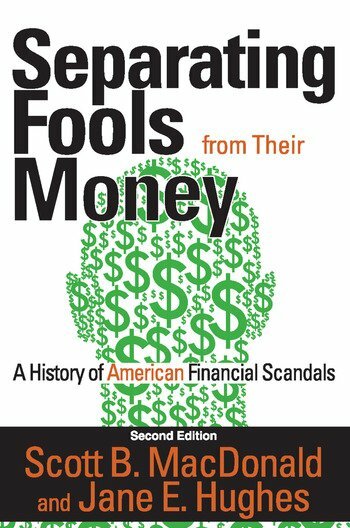 The authors trace the history of financial scandals beginning with young republic days through the Enron/WorldCom debacle of modern times. Informative and entertaining, this book reveals human nature in all of its dubious shades of grey. It also exposes themes common to all financial scandals, which remain astonishingly unchanged over time—greed, hubris, media connections, self-interested politicians, and booms-gone-bust, to name a few. This second edition features a new preface and introduction, plus three new chapters, which address the financial panic of 2008, post-panic scandals, and the "princes of Ponzi." This book's accessible writing will interest the casual business reader as well as the seasoned investor. 9. The 1990s B.E. (Before Enron): A Few Bad Apples, or Rotten to the Core?